Just like John Masefield, I felt the same desire to climb the heights up to Blackheath and onwards following the Thames down to the sea. As Autumn springs upon us, this urge increases as the threat of winter’s beastliness becomes more urgent. John Masefield, the poet laureate, once lived at our home at No.1, Diamond Terrace here In Greenwich, so likewise one must get up and go to revisit the Thames Estuary. 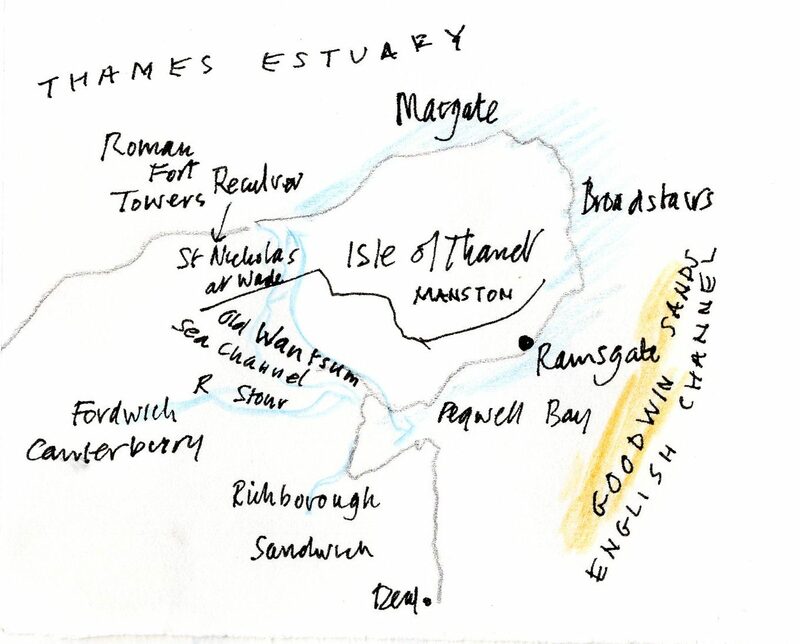 The low estuarial creeks and tideways have always appealed since my boyhood days on Mersea Island on the Blackwater – also to be found at Leigh on Sea where freshly-boiled seafood abounds in a settlement of sheds and slipways wedged between slow-moving tideway and vast areas of estuarial mud much loved by bird spotters and from the speedy commuter trains between Fenchurch Street and Shoeburyness, also passing the fortified artillery range where explosives echo guns of yesteryear protecting the capital during the German wars. Likewise, a string of abandoned estuarial forts recently visited by lucky day trippers on board the paddle steamer ‘Waverley’s annual trip. My train day away from West Ham (Jubilee Interchange) sped me down to sunny Southend and back for a tenner. Here the central station is on the pedestrianised High Street which runs down the steep Cliffside to the mile-long pier with its toy train down to the very end. Alas, the end of season atmosphere thinned the crowds except for adventurous pensioners armed with their travel passes who, like me, enjoy a day out to remind us of yesteryears’ many jaunts. Another bright October day dawned to beckon us down to Thanet where both Broadstairs and Ramsgate are both attractive seaside resorts. 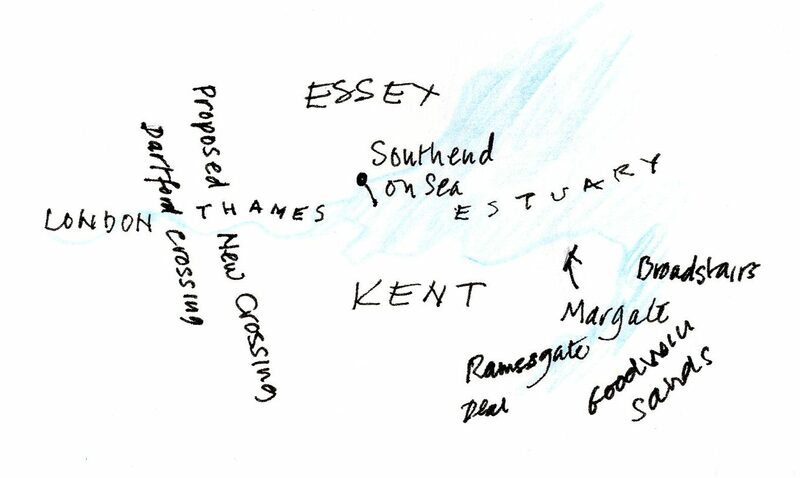 The fast new road links beyond the M25 and down the A2 mean they are only just over 80 minutes away, following the Thames Estuary as one rises over the marshy River Wensum just by Reculver Towers which once guarded this navigational short cut for Roman galleys inwards to Londinium and a fort to keep Saxon invaders at bay with the higher headland of Thanet dominating the approaches from the English Channel. Both Southend in Essex and Ramsgate in Kent are high on our once-a-year list as both enjoy cliff top views which fascinate. The end of the mile-long pier was just visible in the shimmering sunlight as it bounced off estuarial waters and gleaming mud banks bejewelled with fishing craft. 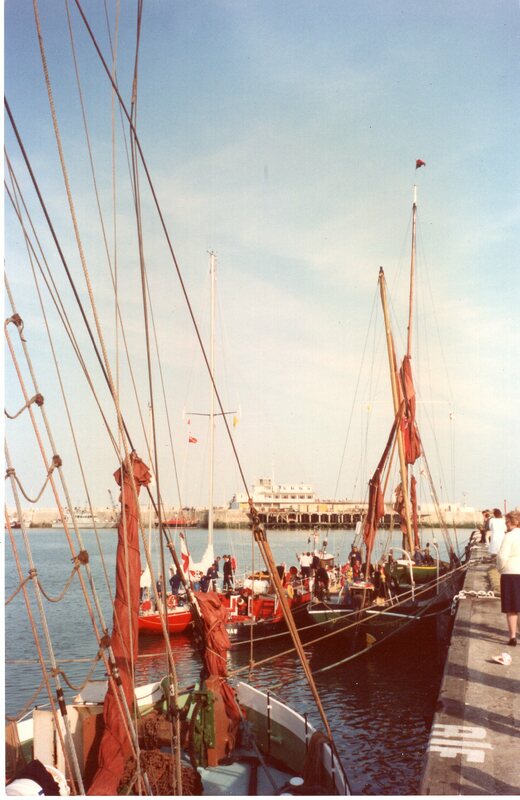 Likewise, perched high above the busy Ramsgate Harbour, one had fine views of pilot boats coming and going and estuarial work boats as they squeeze through the narrow entrance channel into their sheltered pontoons and moorings. 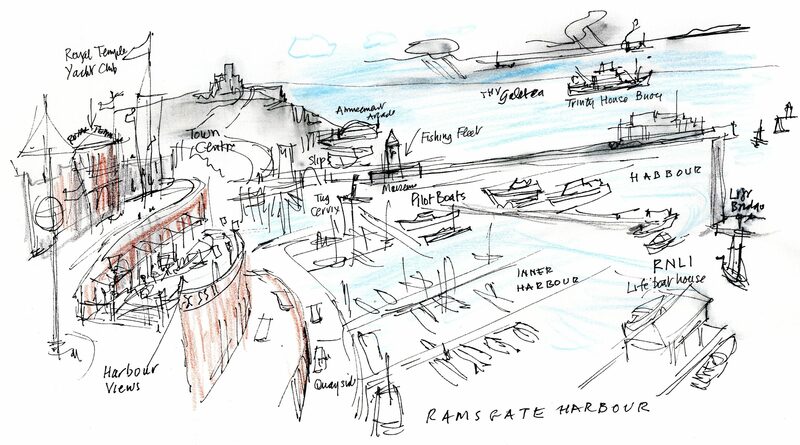 The new lifeboat station and harbour master’s lookout points dominate both inner and outer basins which are usually packed with leisure craft. The Royal Temple Yacht Club perched high on the Royal Esplanade offers traditional, unrivalled amenities for both visitor and club members. Memories of unfortunate Dutch, Belgian and French flotillas of Dunkirk celebrants becalmed mid-channel creating hospitality problems for a postponed welcome party at the club where local volunteers were hastily gathered to host a replacement reception. Lying close by in shore was the Trinity Vessel ‘Galetea’. Built back in 2008, she has patrolled and maintained the network of navigational buoys and lights essential for the busiest shipping in Western Europe. In May 2014 Trinity House celebrated 500 years with a Royal Carter to protect the safe passage of all sea-going vessels – and here at this very time ‘Galetea’ was on duty doing just that, as we land lubbers and seafarers expect! !